This new landmark comprises 50 ha of floor space. Given the exceptional loca- tion, our response was instant: Bangkok was lacking a sense of theatre, so we sug- gested to create it, marrying multifaceted entertainment venues with upscale shops. Everything in Siam Paragon is oversized. 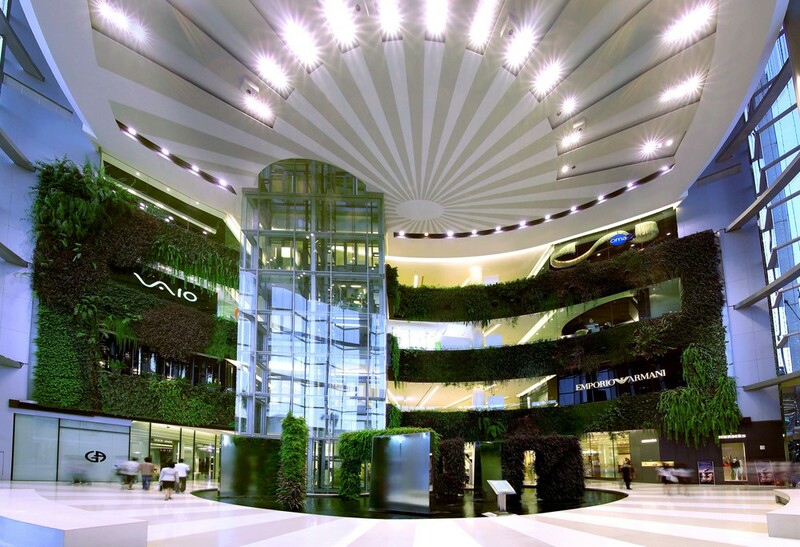 We introduced a giant oceanarium, we integrated a vertical garden which is the tallest indoor in the world. The water is everywhere, outside and inside. The scale of everything is huge, including the rotonda while this provide a becko- ning signal from the skytrain above. 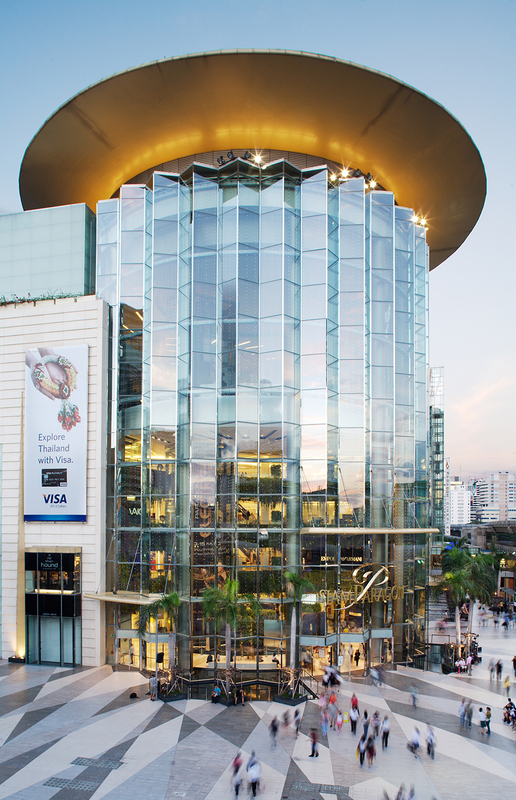 From this central location to its million things to see and experience, everything recommends Siam Paragon as a shopping mecca for both thais and international tourists alike. Spectacular voids, interminable columns, unusually designed ceilings for a shop- ping center, a very carefully studied lighting. Each void was apprehended as a sculpture. These voids are all communicating spaces, but also landmarks, as they help to orient the customer in such a huge complex. 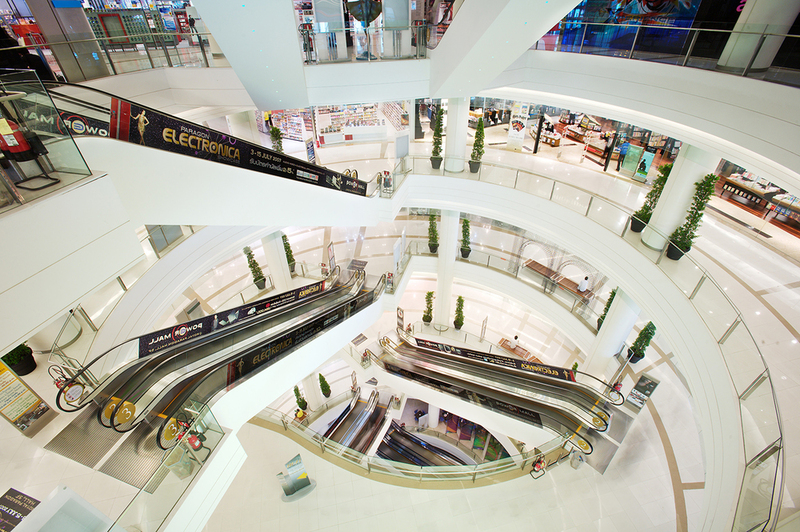 The circulations in Siam Paragon and around were studied as urban planning, with streets, avenues, squares, kiosks, and fountains.